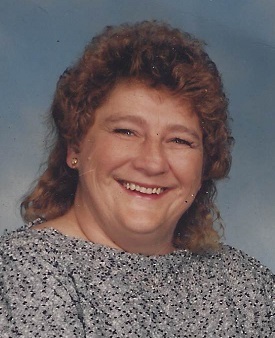 Patricia Ann Mosley, 72, of Hagerstown, MD, passed away Friday, February 8, 2019 at the Hospice of Washington County, Doey’s House of Hagerstown. Born Thursday, November 28, 1946 in Hagerstown, she was the daughter of the late Frank Welty and Maude Elizabeth (Shaffer) Welty. She was a graduate of Miracle Hill Christian School of Greenville, SC. She is survived by son, Michael Ridenour, daughter, Chantel Burnett and husband Marcus, son, Robert Baker III, eleven grandchildren, several great-grandchildren and numerous nieces and nephews. She was one of nineteen children. A celebration of life will be held Thursday, February 14, 2019 at 6:00pm at Broadfording Church, 13523 Broadfording Rd. Hagerstown, MD, with Pastor William Wyand officiating. Burial will be in Rest Haven Cemetery at the convenience of the family. In lieu of flowers, memorial donations may be made in memory of Patricia Mosley to the Hospice of Washington County, Doey’s House, at 747 Northern Ave. Hagerstown, MD, 21742 of www.hospiceofwc.org. Arrangements were made by J.L. Davis Funeral Home, Smithsburg, MD, and online condolences may be offered at, www.jldavisfh.com.